Vocabulary building for chocoholics! 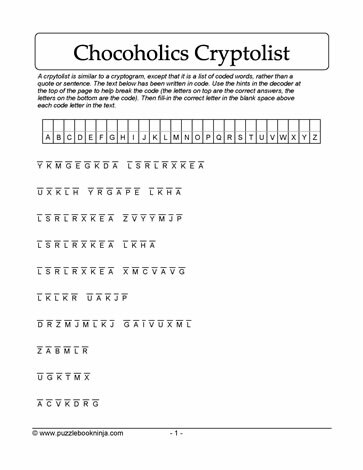 Download this printable puzzle in order to solve the cryptolist of chocolate vocabulary words. Challenge your chocoholic friends to see who can be the first person to decipher the code. Suitable for most ages.